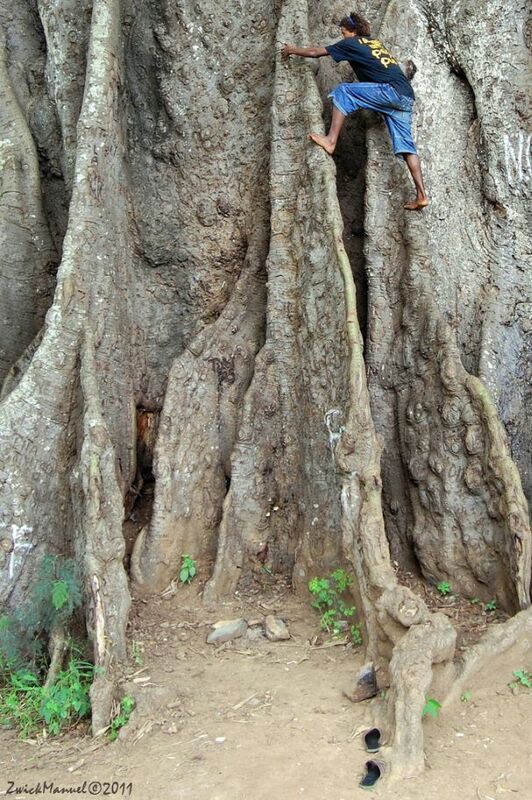 Getting to the roots of the most famous tree on Cape Verde, “Pe di Polon”. 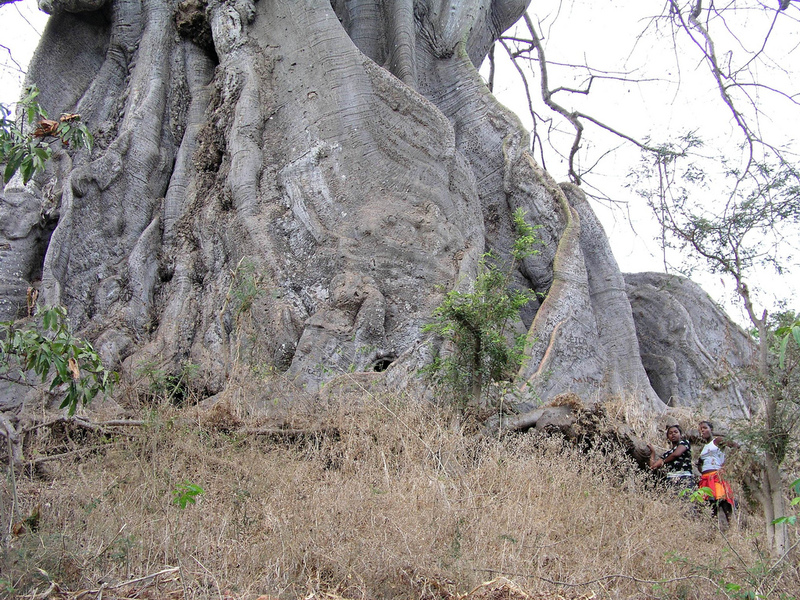 It’s a socalled Kapok or Cotton tree, to be found in both West Africa as well as the Americas. Sort of symbolizing the Trans Atlantic connections of Cape Verde. This blog was basically born out of my personal quest to explore my own African roots. I took the 23andme DNA test already in 2010. Initially I was merely told that I had an x amount of African ancestry, without further specification. Of course I already knew I had African DNA as I am of Cape Verdean descent with Cape Verde being a West African island group (see also “What Tribe Am I?” ). I was also told that my maternal lineage originated in Mozambique out of all places! An African country which is probably furthest removed from Cape Verde geographically speaking, located right at the other end of the continent, thousands of miles away from Cape Verde. With little known documented ancestral connections between the two countries besides both having been part of the Portuguese colonial empire. Safe to say I was confused and clueless about this one single concrete hint provided about my African heritage! While overall my 23andme test experience has been enriching in many ways and i gained more insights after subsequent updates of my results. It did leave me wanting to know more about exactly which regions and which ethnic groups would be connected with my African heritage, beyond Cape Verde obviously. That sort of got the ball rolling as i tried to find more information myself from reading up on both Cape Verdean and African Diasporic history as well as following online discussions on genetics and DNA testing. I’ll never claim to be a trained expert in either field but i will attempt to use my blog to share whatever knowledge i have gathered in the last 9 years after having taken my first DNA test. I still love reading about anything that’s related to personal DNA testing. There’s so many areas of interest that come together: history, genealogy, anthropology, population genetics and even the psychology of how people react to their results as it confronts them with how they self-identify I suppose. I can honestly say it never bores me. I’m convinced that new insights are often generated by just putting two and two together. In other words I think a multidisciplinary approach, combining history, ethnography, linguistics etc. with genetics, often works better than just limiting yourself to a onesided view. I’m also a firm believer of democratizing knowledge. Despite much academic progress being made in African & Afro-Diasporic studies many people taking DNA tests seem to be not aware. So that’s why aside from posting on whatever captures my imagination, i also intend for this blog to be some sort of repository of useful links, resources, charts, maps etc. (navigate the menubar). Anything to make it easier to understand the ethnic origins of Afro-Diasporans from all over the Americas and even located within Africa 😉 I would advise anyone to familiarize themselves at the very least with the vast diversity of Africa (see ethno-linguistic maps) and also whatever’s been documented historically about the African ethnic groups being present in your own country (e.g. see ethnic/regional charts for the USA or the Anglo-Caribbean among others). At the roots of probably the oldest and biggest tree of Cape Verde “Pe di Polon”. Standing tall for over 500 years on Santiago island. Tracing the African roots of the Afro-Diaspora is also about reaffirming the lost identities of ancestors who were caught up in the most dehumanizing circumstances of slavery. I personally strongly believe that in order to truly honour your many dozens or even hundreds of African born forefathers and foremothers (see “Fictional Family Tree incl. African Born Ancestors“) taking a critical stance regarding the claims of DNA testing is a must. Naively taking your results at face value and just going for quick and easy answers could very well lead to gravely misidentifying the main lineages of your African ancestry, which would be tragic indeed inspite of all good intentions. Don’t get me wrong: you can still get very valuable clues about your ancestry from DNA testing! But much depends on how much time and effort you’re willing to spend to do some own research, getting to know the basics of DNA testing, finding out about population genetics, learning about African history (again taking a critical stance and not just going by whatever seems either mainstream or fanciful but only what’s backed up by solid evidence). All these things will help improve your understanding and interpretation of your DNA test results which do provide helpful clues as long as you’ve done your homework. Finding out about your ancestry can often be very daunting indeed. It takes a lot of perseverance, patience and luck. But I’ve found that when you finally get to learn something meaningful and verifiable it’s also very gratifying. Finding out you’re not alone in this quest is a true comfort and engaging in online discussions about this topic has always been very enriching for me and a great learning process. I invite all readers of this blog therefore to feel free to post any comments, questions, remarks or helpful criticism! 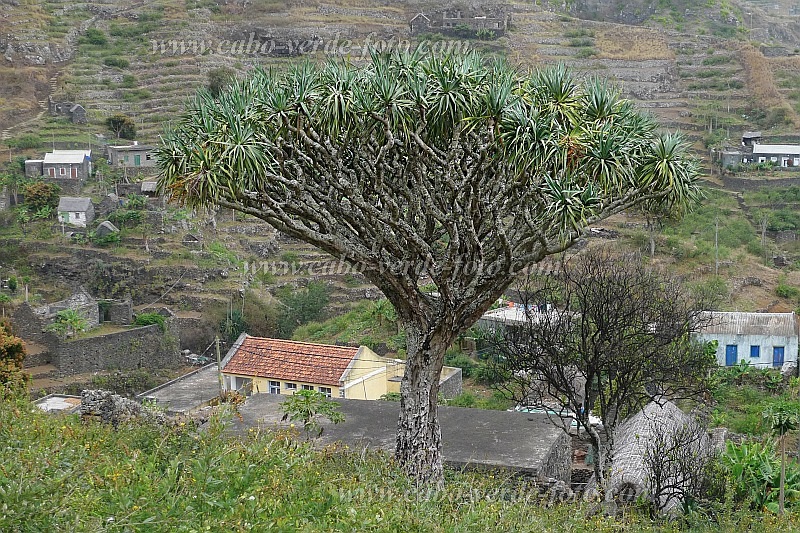 Dragoeiro tree in Santo Antão. It’s one of the most distinctive tree species on the Cape Verde islands. Brother, I love your work. Awesome! I just ordered my ancestrydna kit and hopefully in 6-8 weeks I can contribute to your site. I am excited, since I am from Brazil, and my great grandparents are from somewhere in Africa. Because of the Atlantic Trade, little is know about my family past. But now I want to put some light on it. Muito obrigado Michel! I would love to include your results into my AncestryDNA survey. I have been wanting to see Brazilian results for a long time! Fortunately more Brazilians are taking the test right now. I will be excited with you when you receive your results, especially given your relatively recent connection with Africa! To be frank i am not really that well informed about haplogroups to give you any detailed opinion. I do know however that your maternal haplogroup will only represent one family line out of potentially dozens or even hundreds. Also, as your matches already suggest, haplogroups tend to be very widespread across many countries and generally speaking they are certainly not unique to any particular ethnic group. UPDATE: I suspected and according family my mom is said to be “Mandinka.” I learned Mandinka women can be L2c3a, mom is L2c3. I tested with LivingDNA first it said maternal DNA is: 39% Senegal. 16% Cape Verde, 14% Guinea-Bissau, 14% Sierra Leone, 10% Liberia. Then I tested with AfricanAncestry.com and it said: Mandinka Senegal, Fula Guinea-Bissau, Mende and Temne Sierra Leone, and Kru Liberia. Very, Very, interesting! A breathtakingly sacrificial undertaking and most useful resource. Thanks for sharing your findings. As a fellow family-tree recorder and researcher, your work in this area has opened up new avenues of finding relatives who were previously lost due to dead ends and lack of information. Much respect. Hey, I just found this blog. I am so happy to see this. I have been always wondering what is behind my heritage. My parents are unsure, my grandma said something about Trinidad one time, but nothing else. I’m broke, so I’ve had to go on feelings and connections I feel to certain things. I feel connected to Haiti and it’s soil. I feel that coursing through me and my soul. But I don’t know. My next major purchase for myself is going to be a 23andme full test. I feel as though I’m going to trace my lineage and see that I’m from many more places than I thought. I’m kind of excited for this. ❤ This fills in the gaps until I can get there. Thank you. Hi Simone. I cannot tell you which ethnic group*s* you descend from because despite the name AncestryDNA’s socalled Ethnicity Estimates are not meant to give you that information. Instead they are intended to provide you with an approximate description of what your African DNA looks like regionally speaking, nothing more but also nothing less. This information can still be very valuable as long as you are aware of its inherent limitations and know how to correctly interpret these results. This type of socalled admixture analysis (incl. Ged-Match and DNA-Land) can never tell you exactly which ethnic group*s* you descend from with 100% certainty no matter how detailed their reports might look and also no matter how fancy or trustworthy their claims might appear at first. Keep in mind these tests are only measuring genetic similarity with samples in their (by default limited) database and not actual descent! I used a plural for ethnic group*s* on purpose as practically all Afro-Diasporans will have dozens if not hundreds of relocated African-born ancestors, depending on your background mostly from the 1700’s but also possibly from the 1500’s/1600’s and early 1800’s. Statistically speaking it is nearly impossible for all those people to have been from just 1 or even just a handful of ethnic groups. Instead on average a Diasporan will have various ethnic origins from several places in between Senegal and Mozambique. The particular mix and proportions will vary per individual but not so the fact that a Diasporan’s DNA is basically a melting pot of many different ethnic lineages. It will never reflect just one single ancestral “tribe”. Your best bet to confirm one particular ethnic lineage (out of many others) is by finding an African DNA cousin with confirmed background. Although going back several generations in fact also your DNA match might be ethnically mixed. So making any final conclusions about your MRCA (most recent common ancestor) should always be done cautiously. In order to do so, carefully & regularly browse through your DNA matches pages and look for “African” names or else persons who only have African regions mentioned in their ethnicity preview. You can also perform a search on birth location and type in various African country names such as Nigeria, Ghana, Liberia etc. Another strategy is to closely study the documented African presence for the US states where your family hails from. Not just going back 2 or 3 generations but rather going back as far as possible to the early 1800’s, or ideally even the 1700’s. Slavevoyage data as well as comparison with the African ethnic groups documented elsewhere can be very helpful when interpreted correctly. Although probably more so on a group level than on an individual basis. My AncestryDNA results show that I am 72% African with the following breakdown: 22% Southeastern Africa Bantu, 13% Mali, 12% Benin and Togo, 9% Nigeria, 8% Ivory Coast/Ghana. Trace regions: 5% cameroon and Congo, 2% Hunter gatherers and 1% Senegal. I also have 27% European. I’m African American and I was surprised by the high SE Bantu percentage. Thoughts? Your socalled Southeastern Bantu score of 22% is indeed clearly above average and it’s quite rare for an AA to have it reported as top region. In my original survey of 350 AA results, the greatest amount of SE Bantu was “only” 25% and only two persons had this region as the biggest one within their African breakdown. Since then i have literally seen hundreds more of AA AncestryDNA results and again only a very small number have SE Bantu as number 1 region and typically the scores are rather subdued, with the higher ones only reaching the lower 20% range similar to you. However i did see one AA result with an astonishing score of 48% SE Bantu and also one with 33% SE Bantu. So i suppose it’s fair to say a SE Bantu score of above 25% is very atypical although not impossible for an AA. Now it gets more trickier to establish any likely origin hiding behind this socalled SE Bantu region, which is spread out across a very great part of Africa. Generally speaking for AA’s and other Afro-Diasporans i think that despite the labeling SE Bantu is most likely to be indicative of Southwestern Bantu origins, especially from Angola, eventhough origins from Southeastern Africa, especially Mozambique & Madagascar still also remain a possibility. I suppose only additional clues might clarify this for you. Especially DNA matches hailing from this general area. Have you done a thorough check yet for any African DNA cousins among your list of DNA matches? You can either carefully browse through each of your pages and look for matches which seem “African” because of their profile names or the preview of their ethnicity estmates being 100% African. Another way is to search for birth location and type in countries like Angola, Gabon, Democratic Republic of Congo, Zambia, Sierra Leone, Senegal, Nigeria, Ghana, Liberia etc. etc. The number of Africans who are taking AncestryDNA tests is small but steadily growing. So the chances of eventually finding an African match will increase with time. Keep in mind though that finding an African match doesn’t per se mean you or your MRCA (most recent common ancestor) share the same ethnic origin as your match. Without any paper trail there will always be several ancestral scenarios which may be valid. Many people like you seek to find very finegrained DNA test results which specify ethnic origins. To be frank i i am always very sceptical about any DNA testing company which makes such claims as i suspect they are often merely catering to unrealistic wishes from their customers. I find that is often underestimated that ethnicity itself is a social construct, to a certain degree. It is not transfixed in time but rather gradually evolves, socalled ethnogenesis. Due to intermarriage across the generations with neighbouring ethnic groups as well as migrations from other areas any given ethnic group will usually be of “mixed” orgins if you go back long enough in time. Many ethnic groups in Africa actually show more genetic diversity among themselves rather than compared with neighbouring ethnic groups. This is because of their shared ancestral origins to be traced back to both recent historical periods as well as very ancient prehistory. Furthermore i find that many people underestimate the sheer number of ancestors we all have going back just a few generations. We are all aware we have 2 parents and 4 grandparents however we also have 8 great-grandparents, 16 great grandparents, 32 gg grandparents, 64 ggg grandparents, 128 ggg grandparents, 256 gggg grandparents, 512 ggggg grandparents, 1024 gggggg grandparents etc. etc. Many people will be ignorant about the exact ethnic background of ALL their ancestors going back just 200 years or so, let alone 500 years. People who do a thorough research of their family trees often express surprise at the degree of “foreign” lineage further down the line. As you already mention yourself interethnic unions are also pretty common in Cameroon. Because cultural identification in Africa is often only determined along parental or maternal lines distant ethnic mixing is quickly obscured after only a few generations. Having said all that i do think that DNA testing can provide valuable insights as long as you remain aware of the inherent limitations. You might be interested to know that i have blogged about the AncestryDNA results of two Cameroonians who, like you, are from the Northwest region. Doing a AncestryDNA test will not confirm your ethnic background but if you score in the 80-100% range for the socalled “Cameroon/Congo” region you will have a pretty solid confirmation of atleast your Northwest Cameroonian origins. Furthermore you will be linked to many DNA matches out of Ancestry.com client database. Naturally these will be mostly (African) Americans or other Afro-Diasporans, but possibily you will also receive a few DNA matches from Cameroon or Nigeria. Depending on the estimated genetic closeness with these DNA cousins they might provide further corroboration of your origins within Cameroon. Testing with either Ancestry.com or also 23andme or FTDNA will also allow you to download your DNA data and upload it into Gedmatch, a third party website which provides admixture analysis for free (just google for it and you will find numerous tutorials). Their socalled calculators can tell you more about your socalled “deep ancestry” admixture dating back from many centuries or even millennia ago. This will not be directly relevant for you, as this far surpasses the usual genealogical timeframe of around 500 years. Still it might be interesting. Through their Oracle feature they also report to you which sample groups from their (by default limited) databases show the greatest genetic affinity to your own DNA. This Oracle listing should not be taken as a measure of actual descent! Also do make sure to not take any of their ancestral category labeling or seemingly exact percentages too literally! This is a common “newbie” mistake which can lead to much confusion or even mislead you about your true origins. Again i am myself always cautious about the possibility of determining ethnicity through DNA testing. So if you’re going to do this i would advise you to take all results with a huge grain of salt. If you are able to correctly interpret the testresults, they can still be worthwhile though. Thank you for your response. Honestly what you are saying is very true because those 3 tribes that are in my family culturally are very similar and to an outsider they would be indistinguishable. I think that the deep ancestral roots tests is what I am interested in to see if the oral tradition in my tribe is true that we migrated from the East. Thanks again! I’m Simone and I’m African American. I received my AncestryDNA results in October 2016 and it puzzles me a lot. I’m a beginner in my research of DNA overall. Many things that I’ve read so far on your page intrigues me and at the same time baffles me as I need more knowledge in order to have a complete understanding. I was hoping if you could help me shed some insights on my DNA results or advise on other resources that may be helpful. What confuses me is my African estimated DNA results. Of the 77%, I’m 30% Mali – 25 Benin/Togo – 18% Cameroon/Congo. I have less than 1% of Ivory Coast/Ghana, African SE Bantu, Nigerian and Senegal. The more I try to research it and make sense of it all, it only leaves me with more questions which leads to totally being confused. Your reaction to your DNA results is very common from what i can tell. I am curious to know what your expectations were prior to taking the AncestryDNA test. And also what exactly is it about the African breakdown which leaves you confused? The number of regions being mentioned or rather the specific regions themselves or something else? Hi and thank you for responding (and sorry for the earlier typos). As I’ve been studying DNA test results since receiving mine (and West African History), I had high hopes that I would be able to pinpoint at least one ethnic group that I could be certain that I belong to. When comparing my Mali 30% DNA marker to the typical person residing in Mali today (which is 39%) I thought I could say with certainty that I’m mostly Malian. However after more studying since October, it seems obvious (by historical accounts and AncestryDNA’s explanation that the other regions that share similar DNA with those from Mali are practically the opposite of mine. My DNA results showed that I’m less than 1% of those regions except for Cameroon Congo. Besides the puzzle of Mali’s admixture (learning of the regional wars between Ghana, Mali and later Songhai, intermarriages, borderlines imposed that sometimes split different ethnicities etc.,) It seems that I’m at a complete lost. Being 25% Benin/Togo and 18% Cameroon/Congo….I guess I thought (maybe more so hoping) that I had more Nigerian DNA than the less than 1% (which I understand is only a trace and could be attributed to background noise). I could go on and on about what I’ve learn about the history of Benin/Togo too but I guess my main comment or question is that I often see very low Mali percentages in others’ DNA. Mine seems high at 30%. Hope that answers your questions in more detail and is understandable. I have just finished a blog post which i think might be very useful to you. I would love for you to try out this tutorial and please also let me know if any African DNA matches show up for you. If you need any help don’t hesitate to ask! African DNA cousins can deliver some of the much wanted specification you are looking for. Even when these individual matches will only cover a *single family line* out of potentially hundreds. So they won’t provide answers to all your questions about your *entire ancestry* which as i also mention in that post will be a composite of various origins from several African regions and ethnic groups. In fact even your 30% Mali could very well be traced back to more than just 1 country or ethnic group. That 30% is likely to represent about 15 to 40 individual ancestors. Some of them might have shared the exact same background but chances are high many instead were from neighbouring groups/areas rather (eventhough still genetically similar). Keep in mind that the African-born ancestors from whom you inherited this piece of DNA would mostly have been born in the 1700’s (if not earlier) at which time roughly speaking you might have had inbetween 64 and 256 ancestors. So their individual genetic contribution might be around 1% on average. If you happen to have any African-born ancestors from the early 1800’s this genetical inheritance might be higher but still won’t be more than around 5% in most cases. Having said that you do indeed have an exceptionally high socalled Mali score. Proportionally speaking it is about 39% of your African breakdown (30/77). In my survey of 350 AA AncestryDNA results i only came across 5 people with higher relative contributions! This Mali region is somewhat ambigious and sofar i have not come across any native African yet who had a predominant score for it. I have however observed socalled Mali scores in the 10-20% range for people all across Upper Guinea and in fact also Ivory Coast, Burkina Faso and Nigeria. So eventhough it is a distinctive region there’also a great deal of uncertainty when trying to pinpoint. Hopefully some of your African DNA maches can be helpful. What are your family’s state origins? It might be correlated with your above average Mali score although not per se. Your socalled “Nigeria” score on Ancestry is indeed rather low even when in fact many African Americans might score similar amounts. Keep in mind though that the labeling of ancestral categories is always to some degree arbitrary or imprecise. Actually you could still have a greater degree of Nigerian lineage but it might be “hiding” under your socalled “Benin/Togo” and “Cameroon/Congo” scores. Because Nigerians are so genetically diverse AncestryDNA needs these additional (and neighbouring) regions to describe Nigerian DNA. Your work is so eye opening. Thank you! My dad is Nigerian (Yoruba) & my mom black American….and I only got 12% Nigerian? ?😲😲 I was shocked and disappointed to be honest…my African Ancestry is 94% and is (Benin/Togo 26%, Cameroon/Congo 25%, Ivory Coast/ Ghana 22%, Nigeria 12%, Senegal 6%, Mali 1%)….5% European (Great Britain, Europe West) …..1% Pacific Islander ( Polynesia) any thoughts on the low percentage for Nigeria? My dad thought this meant I was not his daughter. Also check out this Youtube video done by a Yoruba/Edo woman who scored 55% socalled “Benin/Togo” and only 35% socalled “Nigeria”. This video is also done by a Nigerian with an unexpectedly high Benin/Togo score (66%), he’s not Yoruba but it’s still very insightful and funny! Could you give me a guess on what I belong to? Just as a disclaimer, I cannot tell you which ethnic group*s* you belong to because despite the name AncestryDNA’s socalled Ethnicity Estimates are not meant to give you that information. Instead they are intended to provide you with an approximate description of what your African DNA looks like regionally speaking, nothing more but also nothing less. This information can still be very valuable as long as you are aware of its inherent limitations and know how to correctly interpret these results. See also the previous comments and especially this one for a further elaboration. I appreciate your comment. I’m pleased that you gave me your take on my breakdown. I just saw this comment for the first time. I must’ve missed it, but I will attempt to find an African dna match. – Is “Benin/Togo” really pinpointing origins from within Benin’s borders? – “Cameroon/Congo” = moreso Angola/Congo for Diasporans? You are doing such a good job. I really enjoyed reading your blog. I know you say you are not an expert but you are right. We need to learn more about our DNA. We need to put more effort. As for me, I am fascinated by DNA. I still would like to know how I know which DNA is from which parent. I have 5th great grandparents from Cabo Verde/Cape Verde. I recently took an interest in DNA, initially due to my daughter and I encountering recent hereditary health problems. I have been reading your blog for a few weeks and the work you are doing is remarkable. My father stated I am Jamaican from his side of the family. I have taken both 23and Me and Ancestry-DNA yet my DNA results do not match up with the results listed for Jamaicans/Afro-Caribbeans etc. I am most perplexed by the 9 % South Asian consistently found in my results. I would greatly appreciate any insight you can offer looking at my results listed below. Jamaicans show a great deal of variation. So it’s best to not only take into consideration the group averages but also other statistical measures. In regards to your South Asian scores, it is indeed remarkable but not uncommon for Jamaicans to show this kind of admixture. South Asian migration in the 1800’s to Jamaica and other parts of the West Indies is well documented. It is known that many of them intermarried with people of a different background. The average South Asia admixture among my sample group of 100 Jamaicans is almost 2%. However for 8 persons out of those 100 a South Asia score of greater than 10% was reported while several others had more dilluted South Asian %’s (<10%). So it's not the most typical outcome but also not extremely rare. I think to get a full scope on your possible South Asian heritage you should combine the socalled “Asia South”, “Asia Central” and “Melanesia” scores to arrive at an approximate ancestral share of 11%. Which (assuming you have only one direct South Asian ancestor) would translate into about 1/8 of your DNA, and *possibly* 1 South Asian great grandparent. Again other ancestral scenarios might also apply. The reason these regional scores can be combined is because they describe DNA markers which are also reported for native South Asians themselves (typically they do not receive 100% South Asia scores!). For more details see that page i refer to above. It’s interesting to note that on 23andme (which generally provides a more accurate Asian/Pacific breakdown) you no longer have any Oceania score, which goes to prove that the socalled “Melanesia” was just a misreading on part of AncestryDNA. The South Asia score of almost 9% on 23andme is broadly in line with Ancestry. But given that they also leave 3.3% of your DNA unassigned it could very well be that it’s actually an underestimation on 23andme’s part. Thank you so much for the quick response! I really appreciate it. My stepmother sent me some records about my grandfather, he was born in Kingston,Jamaica in 1920. On my mother’s side I have inquired about my maternal great grandfather but information regarding my great grandfather is an elusive topic of conversation, so I am doing my own research and putting the pieces of my family history together. No one, on my paternal or maternal side can explain the South Asian portion found across the board in my DNA. My mother claims we have Native American heritage (Blackfoot Indian) through my maternal great grandmother and Native American heritage through my maternal great grandfather(Chippewa Indian),my DNA shows traces of Native American on my 23andme and zero on Ancestry,up to 2.4% on GEDMATCH,and 1.1% listed below on DNA-LAND. My mother thinks the tests are faulty as she is adamant regarding the native heritage in our family. I have also uploaded my DNA to GEDMATCH and DNA-LAND as well as both my daughter’s DNA. Below are my DNA-LAND results, any thoughts? I am new to genealogy but I find it very interesting, so I know it is becoming more than a passing hobby. I will look at the two sites you mentioned in your response.Thank you for your help. You’re very welcome! Frankly i am not a big fan of the admixture analysis performed by DNA Land as i find it to be less accurate compared with both AncestryDNA and 23andme. However basically again you are reported with a considerable amount of South Asian DNA. You can be pretty sure it’s a genuine finding. I would recommend that you start searching for South Asian DNA matches. Contacting the ones who are closest related to you might give you more insight. There’s several methods you could search for them, incl. by birthplace or surname. However this tutorial i originally devised for finding African DNA cousins might also work. You first need to download all your matches and then filter them for matches who do not show any European or Native American regions (choose filter 2 “more inclusive”). If you get stuck at any of the steps feel free to contact me. I have read the blog regarding Native American DNA,it was very interesting and made sense to me. I also just looked over the tutorial for singling out African/Asian matches on Ancestry, this task looks daunting and time consuming so I will come back to this task later, after I have completed my homework assignment. You have been very helpful and approachable,thank you for all of your help and guidance as I attempt to navigate the fascinating world of DNA. Great site. I like the first Zambian languages map you list and would like to use it in an academic paper. Did you create the map or find it somewhere else? For the paper, I will have to provide the source citation so that would be helpful to know. Thanks. Reading your blog has been super helpful and interesting! I recently got my ancestryDNA results and have been doing research and trying to figure out how to interpret them. For the most part, the results weren’t too surprising given what I had already knew regarding the patterns of the transatlantic slave trade and my family history. But I was surprised that some regions showed higher percentages than I would’ve guessed to be typical for an African American and others showed lower percentages. For example, I had 22% Mali (which I expected to be lower), 11% Nigeria (which I expected to be higher), and only 3% for both Ivory Coast/Ghana as well as Senegal (which I also expected to be higher), 7% Benin/Togo and 11% Africa Southeastern Bantu. The 17% Great Britain also didn’t surprise me given what I know about my family history. Aside from Ivory Coast/Ghana and Senegal, I didn’t put much thought into any of my trace regions (Ireland/Scotland/Wales, Scandinavia, Europe West, Asia East, Native American, and Iberian Peninsula) because none of them seemed to be too unusual or inexplicable except for the Asia East since I figured most of the western European trace regions could be lumped with Great Britain or at least explained in the same way and Native American ancestry shouldn’t be too surprising for anyone whose family has been in the United States for 200-300 years. With all that being said, I was really curious about the Africa Southeastern Bantu because ancestryDNA provides a very large and broad region for where this ancestry could come from. I looked at the list of primary locations Ancestry provides and the only ones I could recall being a part of the Transatlantic Slave Trade was Angola and Mozambique to a lesser extent. Nonetheless, I decided to upload my DNA raw data to MyHeritage, WeGene, DNA.LAND, and GEDMatch just to see if they picked up on similar things. Unsurprisingly, they picked up on the west and central african heritage (with several of the admixture calculators on GEDMatch picking up on pygmy/mbuti/congolese ancestry), and the european heritage (often just interpreting it as western or northern european). What was surprising to me was that they kept consistently picking up on East African and East/Southeast Asian ancestry. MyHeritage, DNA.Land, and many of the admixture calculators on GEDMatch kept labeling the East African ancestry Kenyan (luhya or masaai in some cases) and WeGene labeled it BantuSA and Somali. And now I am completely baffled and wondering if maybe the Africa Southeastern Bantu DNA that ancestryDNA was picking up on could also be actual southeast african ancestry in addition to Angolan ancestry? Of course this is all speculation, but as far as I know, Kenya was not a part of the Transatlantic Slave Trade and obviously WeGene just labels all East African DNA as Somali, so do you think it is likely that myheritage, dna.land, WeGene, and GedMatch are picking up traces of ancestry from Mozambique or maybe Madagascar because of the Asian ancestry? I noticed that some of my cousins on my moms side of the family who showed up in my DNA matches also had Africa Southeastern Bantu in addition to Asia East/Melanesia/Polynesia in their trace regions and we have no known Asian ancestors in my family. Do you have any suggestions for how I could further investigate this Africa Southeastern Bantu/possible East African ancestry? I tend to be very wary about the socalled East African scores reported on thirdparty platforms such as Gedmatch or DNALand for African Americans and other Afro-Diasporans from the Americas. I strongly feel that any socalled “East African” label when used in DNA testing should always be critically scrutinized. You have to keep in mind that actual West Africans also receive such scores on Gedmatch and are not described as 100% “West African”. If not some fluke or misreading it most likely represents VERY ancient population migrations across the continent (going back millennia instead of centuries). Irrelevant from a genealogical perspective (last 500 years or so). From my ongoing AncestryDNA survey i have learnt that Northeast African origins are described by AncestryDNA as a combination of “Southeast Bantu” as well as substiantial amounts of “Africa North” *and* “Middle East”. If your results don’t show those last two components above trace level you can be almost positive you don’t have any recent or substantial connection with Northeast Africa. And instead it will be indeed Bantu speaking origins from Central or Southern Africa. As is also in line with plentiful historical documentation and cultural retention. Finding African DNA matches might enhance any corroboration and zooming into your “Southeastern Bantu” score. So my advise to you would be to systematically scan and filter your DNA matches according to this tutorial i blogged about last year. If you should get stuck at any of the steps please do not hesitate to ask for assistance! Thank you for this post. I have found your website very helpful. I took the AncestryDNA test, then I uploaded my raw data into GedMatch. GedMatch shows that my DNA matches VERY closely with Northeast Bantu. Do you think this is probably inaccurate? I’m African American so I’m not understanding a connection with Tanzania, Kenya, and Uganda considering the slaves were not taken from those countries. My Ancestry DNA results show 10% Southeastern Bantu, with the highest percentage of my DNA coming from the Cameroon/Congo region. I just can’t seem to connect the dots! Hi Jas, thanks for your comment! Indeed i think this outcome on Gedmatch is probably inaccurate. From what i have seen such socalled “East African” scores are being reported almost for all Afro-Diasporans actually, even when historically we know that this kind of ancestral contribution on such a scale is practically impossible. Because slave trade from places to the north of Mozambique into the Americas was nearly nonexistent and at any rate just a drop in the ocean when compared with slave trade from West, Central and Southeast Africa. I therefore take such results with a huge grain of salt and in case of the East African scores i’m pretty sure they are invalid for almost all Afro-Diasporans and will dissappear when better fitting Bantu samples from Angola and Mozambique will eventually will be available. I’m so confused and not sure what this information means. My last name is clearly Spanish – Purto Rican/Dominican but I have no markers from the Iberian Peninsula. I’ve uploaded my information to GEDMatch and and hoping for clarity. Can you provide any insight? Hi Tiffany, where is your family from? Are both of your parents from the same nationality? Did you receive any “migration” (formerly known as genetic community) specifying your more recent background? The interpretation of your results might be different all according to whether you perhaps also may be partially African American or West Indian. Generally speaking the AncestryDNA breakdown is very useful first of all because of your continental percentages which will be most reliable. But also the within Africa breakdown can be insighful as long as you realize it has inherent limitations and can only be expected to be “sketchy”. DNA testing is revealing that ethnicity usually cannot be distilled into one single category, unless you happen to be a perfect match to the samples your DNA is being compared to. Instead typically most nationalities/ethnic groups will be described as a composite or blending of neighbouring and interrelated ancestral categories. This might be confusing at first but does actually make sense if you take into consideration the genetic impact of ancient migrations and inter-ethnic mixing throughout the ages. Having said all that i think when you lower your expectation level your biggest regions will probably be most informative for you to find out about your predominant African lineages. Although in fact also the smaller regions may be providing valuable clues. The most striking part of your breakdown is of course the 40% socalled “Ivory Coast/Ghana’! I am from Latin America as well. About last name, I could add to you that in several places the colonizers from the Iberian Peninsula used to give last names to African slaves after abolition or to natives as well. In Brazil those “last names” usually refer to the slave owners, religiosity, name of Iberian cities and even name of trees. Fonte_Felipe. Hoi mijn naam is Shaquille en ik ben half Arubaans half Antilliaans, ik ben sinds gisteren bezig geweest met een spreadsheet van Haplogroepen wat voorkomt in de Nederlandse Antillen. Ik zie dat er inderdaad erg weinig genetische studies waren gedaan op mensen van Aruba, Bonaire, Curacao, Sint Maarten, Saba en Sint Eustatius. Ik hoop dat ik daar ooit verandering in kan brengen haha. The SSA haplogroups to be way higher, especially the mtdna. Non-SSA, Non-Euro, Non-Amerindian haplogroups to be higher, since the ABC islands (SSS not so much) are more multicultural/racial. Dit is geweldig man! Great initiative! It’s really unfortunate that there seems to be a lack of genetic studies on the Dutch Caribbean. But this could be very insightful already. You might be interested btw that I am conducting a similar survey but focused more so on the autosomal genetics of Dutch Caribbeans (Antilianen & Surinamers) as reported by AncestryDNA. I have only very few results to go by for now. Dus als je ooit besluit om zelf de AncestryDNA test te doen laat het me weten 🙂 Ook als je op de hoogte bent van andere mensen met Antiliaanse of Surinaamse achtergrond die de Ancestry test gedaan hebben: spread the word, LOL! Hi Anthony, thanks for commenting on my blog! You raise some very valid questions! I hope you don’t mind but I have decided to cut & paste your comment to my most recent blog post dealing with Ancestry’s intended update. I will reply to your comment over there. One of my testers has the preview update. Hello Fonte, I have a question in regards to My Heritage DNA, are you familiar with it? These are the results that this platform gave me. Hi there , i have not done any detailed analysis of My Heritage. But basically you will need to learn more about their African sample database as well as how each African region they have in place is defined by these samples. After all your admixture results are a reflection of how your own DNA compares with these samples according to MyHeritage’s algorithm. It not meant to be a conclusive report on your true ancestry! Love the content. I recommend updating the blog with the current Ancestry admixture algorithm, which is presently being rolled it to all users. It would be helpful. It will be great if you could lend your insight to the impact of their recategoirzation. I’d love to help if needed. Thanks a lot for your comment! I intend to blog about Ancestry’s update of their Ethnicity Estimates indeed. As soon as it has been made available to all their customers. I have already blogged about my suggestions for how to improve on their African breakdown. Looking forward to your input! You’re welcome. Interestingly, my Mom is 18% ASEB, and she is from the Caribbean. Really high. Hope to decipher more on the parish source and their history to the Caribbean. Thanks. Your work here is tremendous. Thank you. I have longed to be better informed and connected with African roots. My African DNA percentage is 84%. 41% is Cameroon, Congo, and Southern Bantu, 25% is Benin & Togo, 8% is Mali, and 8% Scottish-Irish. I recognize Ancestry is not designed to place you with a particular African group, however I would like your thoughts regarding my possible African ancestral group(s). Are you African American? The Cameroon/Congo/Southeastern Bantu (West-Central Africa) seems very high relative to your West African ancestry. Yes I am. I’m sorry I left out that important detail. I wanted to share my previous DNA ethnicity estimate in light of your thoughts on the updated version. Below are the results. Oh goodness. Yes, the old numbers make much, much more sense. What it looks like is that they gave nearly all of your Nigeria to the new combined West-Central Africa and Southern African region. Even if your Nigeria ancestors are the Bantu/Semi-Bantu people on the easterna and southeastern border of the country, their numbers are small enough that it’s highly unlikely that all of your Nigerian ancestry is from that region, so they should not be combined it with the old “Cameroon/Congo” region. You are very likely much more West African than this new update is showing. Seems they don’t have “low confidence” cateogries, anymore, or did I just not get them. These are…surprisingly closer to what I have documented than the last estimates, at least for Europe as we suspected. Looks like they’ve correctly put the “Scandinavian” into “Anglo Saxon,” and taken down the ridiculously high “Iberian Peninsula” to 1% Spain Even in Africa, they’ve taken down the “Ivory Coast/Ghana” to a number you’d more expect for an African American like myself. So, it looks like the big mistake they are making is overstating Benin/Togo and Cameroon/Congo for Africans. But the regions west of Benin/Togo may (or may not) be more accurate for most African Americans. Still can’t really tell without a Sierra Leone or Liberia category. Actually, Benin/Togo may not be TOO overrepresented for African Americans in this new version knowing how big of a port this was to North America, right? As for Europe and specifically those with British heritage, I think they’ve finally gotten it right by consolidating all of the false “Scandinavian” and “Iberian Peninsula” percentages into Anglo Saxon. I’m betting “Iberian Peninsula” was measuring the ancient British (prior to both the Anglo Saxon and Norman invasions), in which those people were also present in coastal Spain, France and Portugal. I think they’ve probably also better nailed down Irish ancestry, which is more distinct than most Western European DNA. Anyway, I knew my grandmother like myself were far more English than Irish and that seems to have been confirmed. Yes it seems the European breakdown is definitely an improvement. Socalled “AngloSaxon” being a programming code for the new region “England, Wales and Northwestern Europe” which actually also includes the Netherlands, Belgium and neighbouring parts of France & Germany. About the African breakdown i’m less cheerful as I have now also seen the updated results of actual Senegambians, Ghanaians, Liberians, Nigerians, Central Africans, East Africans, Southern Africans etc., all people who are sharing profiles with me. In most cases the new breakdowns look less informative than they used to be. I will blog about it as soon as I know that this update will be final and after it has been rolled out to everyone. If it is the 4th, they are acknowledging what they know today. If it is the 3rd, they better create a incident report and stop the rollout. Yes I agree given sufficient indications that their new algorithm’s performance is worse than it used to be they should stop the rollout. At least in regards to the African breakdown. Regrettably Ancestry’s communication about this update has been very minimal sofar… I would very much like to know if any additional West African samples have been added to their Reference Panel. And also how that may have impacted these newly updated results. I do know that for the new region called “Eastern Africa” most likely Luhya samples from Kenya are now being used. As this is showing up as the code name when having a preview of updated results for East Africans. Most likely also Sandawe samples from Tanzania have been added as an extra Hunter-Gather population. In my opinion very much irrelevant even though they are a fascinating group. From what I’ve seen it is resulting in highly distorted African breakdowns for East and Southern Africans. Is a pleasure to engage with you finally even though I have Always admired project of this magnitude . I have known about your great work some 3 – 4 years ago when searching for my own ancestry. Now before I share my situation, do take note the purpose of this brief is to ask whether you have considered taking this project to the ‘ NEXT LEVEL ‘ in terms of making what you have done and continue to do into a ‘marketable product or an ‘ Online Service’ for the sake of posterity – which benefits All People of Colour including those of African descent from Europe, Canada, USA and Afro Latinos in South America. Please take note that though am not promising anything at this moment, but it is my intent to include and have done so in recent submission elsewhere for funding when the opportunity arose. I am NOT at liberty, in this open forum, to discuss further except to say that what you are doing is such an important project which CANNOT and MUST NOT be left for just Fonte Felipe to do or accomplish all by yourself using your own time and money for ALL of us. On a personal note, am happy to finally bring myself to write this email as i either forget or keep losing this site. I am happy to establish further contact,hopefully from you, to engage or discuss further away from public notice board. I have just ordered a test off of ancestry DNA and would like to offer my results to contribute to your research once I receive them. My parents are both Cape Verdean born with all four grandparents from the same island. I am really excited to learn a bit more about the African history in my family. Let me say that your blog is amazing. So much information, it will take me quite a while to read understand what I read. I had my first AncestryDNA test back in 2008. I took the test again in late November this year 2018. The results are similar in some aspects yet vastly different in other results. The DNA test in 2008 made no mention of African roots. 2018 DNA test shows an African connection. I admit being a bit obsessive in trying to learn more about my Mali ancestry even though it is a small percentage in comparison to others you have noted on the blog, It is thrilling to me to say the least. It seems to answer questions that were covered or veiled in family ‘stories’. Where, in your blog or another place, would be the best place to start my learning process? I have studied my genealogy for almost forty years but not DNA so I am very new in this regard. Thank you for your blog and for sharing with everyone. Hi Debra thanks so much for your kind comment! Wow! That is all I can say at this point, but will be back to say more! It is by divine providence that I found your site. I have been digging deeper into my ancestry for the past 3 yrs but have been at a roadblock for about a year. I had decided to cancel my ANcestryDNA subscription this month, but after finding your site, I a, encouraged to persist a bit more. Thank you for this obvious labor of love you have undertaken and for inviting others along on your journey. Many of my family members ask my why would I waste time looking into this. So happy to find a community of people who understand the passion and need to explore the past!! Blessing to you! Have you tried yet searching for your African DNA cousins according to this tutorial I posted last year? I actually intend to provide an extra service on this blog in regards to finding & interpreting African matches on Ancestry. So stay tuned! I wonder what is the African ethnic origins of Luis Advíncula and most Black Peruvians? I have not yet come across the DNA results of a Afro-Peruvian, but undoubtedly they will be varied. I am myself very curious to know to what extent the Upper Guinean founding effect I have described for Hispanic Americans and Meso America (see this blog post) might also be valid for Peru. There are several great books & studies about the ethnic origins of enslaved Africans in Peru. You have to keep in mind though that the composition would have changed in each time period. All my parents and grandparents were born in the Congo. My maternal grandfather had very light skin. I was hoping you could help me understand why my nigerian results are so low. I received my results March 15th and they show that I am 50% Benin/Togo, 47% Cameroon/Congo/Southern Bantu, and 3% Nigeria. Both my parents are Igbo people from Nigeria so i’m shocked by my low Nigerian score. Please read this blog series it will help you understand better. Basically after the update on Ancestry last year their “Nigerian” prediction accuracy has decreased drastically. Instead (southern) Nigerian DNA is being described more so by “Benin/Togo ” and “Cameroon/Congo”. This happens for all people of Nigerian descent! In fact also other Igbo people will get such scores if they get tested by Ancestry. That this happened to you, direct descendants of Igbo parents, tells me all I need to know how much Ancestry messed up African predictions in their latest update. That you, an Igbo, are only getting 3% “Nigerian” tells me that their Nigerian sample is either ridiculously small, and/or those sampled in Nigerian are some of the most genetically rare people in the entire north of the country. Hi Serge, thanks for sharing . I do not think i have heard of this test yet. It seems very detailed indeed. Frankly a bit too detailed to my taste haha. I am very doubtful any reliable distinction could be made between lineage supposedly hailing from either Lesotho, South Africa, Botswana or Zimbabwe. Instead of a seemingly very exact country name labeling a more generic grouping under the label of “Southern African” would be more meaningful I would say. But indeed for a proper assessment you would need to know more about the Reference Populations, incl. also at which resolution these samples have been genotyped. Furthermore the specific algorithm being applied is likely to be heavily impacting on this outcome. The GEDmatch version of Oracle may give slightly different results from Dienekes version. The GEDmatch version uses FST weighting in its calculations. Hi Serge, interesting. But be very careful in taking these predictions too literally! To be honest I have never taken much notice of Gedmatch and other third party websites because I found their ancestral categories not up to par with AncestryDNA (before the update) and also not with 23andme (after its most recent update). Going by other people’s reactions I also find Gedmatch to be highly confusing and potentially misleading because of the way their results are presented as seemingly very “precise” and “specific”. When in fact such a presumed accuracy cannot be attained with current DNA testing technology. AncestryDNA’s & 23andme’s country name labeling may be misleading as well, but on a different scale I would say. Especially since they do mention the limitations of their “estimates” and Ancestry also quite clearly illustrate the inevitable overlap with their regional maps.